It includes relevant theory and process notes for trainers, and a range of activities supported by electronic resources with downloadable activity sheets and handouts. 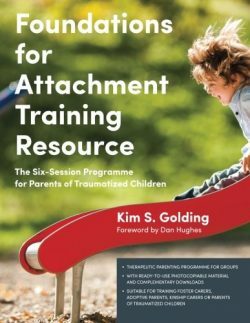 This is a complete resource containing everything you need to run the sessions, and is perfect for any professionals involved in training foster carers, adoptive parents and kinship carers. It is recommended that DDPI Endorsed Parenting Programmes are run by facilitators who have undertaken at least Level One and preferably Level Two DDP training and are confident in the use and modelling of PACE.